Truenumbers® is the first enterprise-class data technology to let users on the ground create and work with structured data, and share it in the cloud for collaboration and analysis. 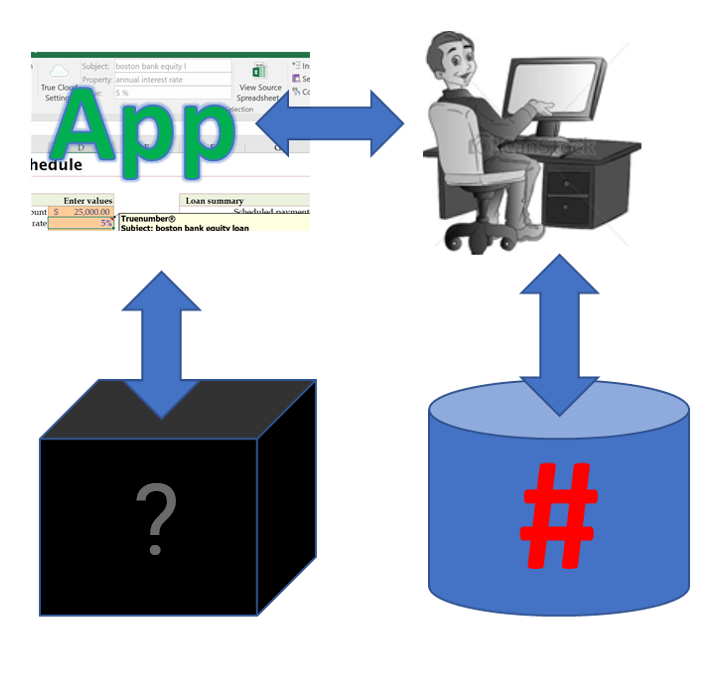 Data is usually locked away in black-box databases, behind applications needed to make it intelligible. Truenumbers is the only data platform where data speaks your language already, so you can use it directly. Spreadsheets were game-changers because they let us build our own applications. Truenumbers lets us build and work with enterprise class data at any scale on our own, a big change in enterprise architecture. Truenumber data is a collection of individual facts expressed in natural language phrases that people can read and write, yet structured to support simple, powerful queries, AI and machine learning. Portable and readable, Truenumber facts can be used directly and traceably in Word, Excel or web pages. Truenumbers also accelerates development and maintenance of better systems and enterprise architectures. Not schema-on-read or schema-on-write, Truenumbers is no-schema-anywhere. So one database can store and query facts about anything. Leaning on relational, MongoDB or Accumulo for storage, Truenumbers scales from desktop to big-data clusters in the cloud. Capturing more semantics than relational or object data. Truenumbers is ideal for analytics, AI and Machine Learning, and creates more flexible and traceable systems. Truenumbers has already helped Government and Fortune 500 firms develop military sensor-based systems, track aircraft materials data, and make critical spreadsheets trustworthy. It's time you looked into Truenumbers. (C) 2015 - 19 True Engineering Technology, LLC all rights reserved.